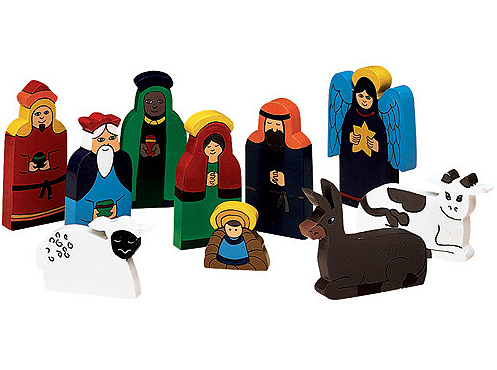 Vivid colors and lead-free paint make this a great hands-on nativity set. I love this set! It's the perfect size for my apartment, is bright and colorful. Makes me happy and grateful just to look at it!